Welcome to the December DNA Activation for this year, in the sequence we’ve been focusing through the 10-10 Gateways of 2017 (=10=1), on December 10th ~ the 10-12-10 vibrational alignment. As this 10-10 is leading closely into a peak alignment on the 12:12 through which a highly focused ray of Diamond Light will be flowing to, through and around the Earth and all life here, we’ll begin by calling in the Diamond Light, and flow this through the Golden Stars Visualization ~ bathing in the Golden Diamond Light of 12D, the dimension of Divine Christed Essence. Begin by focusing into your Heart, feeling your heart centre warm, peaceful, and relaxed. Let any tension unwind from your body, mind and emotions, as you breathe and relax. Visualize a ball of sparkling Diamond Light within your heart centre ~ and let it radiate outward, bathing your body and energy field in this vibration flowing from the Heart of Source ~ Love-Light-Life ~ for yourself and all beings everywhere. Feel every cell open gently in perfect trust to immerse in this light, the vibration of pure Oneness. Now breathe golden light into your heart and see this light radiate through the Diamond Light, spreading throughout your Being with the eternal presence of your Inner Divine Self, One with Source forever. As you fill with this warm golden light, feel its infinite love and wisdom, the Heart of Source that beats within all our hearts, radiating pure love, joy and peace. Feel the masculine and feminine energies within you merge into One. Feel your ‘higher self’ and ‘lower self’ merge as One, unifying as your Inner Divine Self, a pure expression and extension of Source, across dimensions, and universes, into this Now. The light of the Golden Heart of Source is flowing through you, transforming your whole being into Unconditional Love. Breathe into it. Feel the gentle, everlasting rhythm flowing through you. It IS us all. Within this merge of diamond and golden light, steady and calm, in pure love for yourself and All, continue now with the Golden Stars Visualization. Within this sacred merging of Love and Blissful Gratitude all limiting factors in the codes of my DNA, RNA and epigenomes are now dissolved completely. Every strand is receiving the highest available imprinting of the ‘goldenprint’ of Divine Love, in harmony and ease, in alignment with my highest good and the highest good of all. In this now, my physical body is vibrating with, and transforming into, golden crystalline light, filled with grace and joy. I Am Love. I Am Harmony. I Am Grace, radiating the restoration of Love to all Life, everywhere. And So It Is. In the Oneness of the pure Diamond Light radiating eternally from the Heart of Source, in the resurrecting flow of the golden Christ Light, held and supported by All who cherish Life, the Inner Star I Am is fully restored and alight, loving and cherishing All-That-Is. In the sacred merged Light of Love and Life, in Oneness with all Life everywhere, pure ‘AMness’ flows freely through this open conduit and vessel, the ‘I’ is ‘We’…Source to Oversoul to Soul Aspect anchoring and radiating the Ascension Light in this here and now moment for All. Divine Love in continuous creation and expansion is received within my being with love and gratitude, and radiated to All. And So It Is. It Is Done. So for this month’s DNA Activation, with the 10-11-10 gateway of Sacred Union flowing through the middle of the ‘twin 10s’, we’ll begin with a golden and purple light visualization, and activate our merged Golden Star in the Heart within the golden and purple ‘resurrecting through compassion’ vibration. The 10-11-10 opens true Twin Flame alignment, to meet and be fully immersed in the One Flame from the Heart of Source that expresses as two, in the number 11…the sacred meeting between the pillars. as the Inner Divine we are, multidimensional and universal, extending from and always cradled in the Love of the Source. Begin by focusing into your Heart, feeling your heart centre warm, peaceful, and relaxed. Let any tension unwind from your body, mind and emotions, as you breathe and relax. Visualize a purple flame within your heart centre ~ let it brighten and flow outward, bathing your body and energy field in this vibration of unconditional compassion for yourself and all beings everywhere. Feel every cell open gently in perfect trust, to this stream of purple light, and settle into total peace. Now breathe golden light into your heart and see this light radiate through the purple light, spreading throughout your Being with the eternal presence of your Inner Divine Self, One with Source. As you fill with this pure golden light, feel its infinite warmth and love, the Heart of Source that beats within all our hearts, radiating pure love, joy and peace. Feel the masculine and feminine energies within you merge into One. Feel your ‘higher self’ and ‘lower self’ merge as One, unifying as your Inner Divine Self, a pure expression and extension of Source, across dimensions, and universes, into this Now. The light of the Golden Heart of Source is flowing through you, transforming your whole being into Unconditional Love. Breathe into it. Feel the gentle, everlasting rhythm flowing through you. It IS us all. Within this merge of purple and gold light, steady and calm, in pure love for yourself and All, continue now with the Golden Stars Visualization. In the freedom of compassion for All, resurrected in Source’s Divine Flow, held and supported by All who cherish Life, the Inner Star I Am is fully freed and restored. In the sacred merged Light of Love and Life, in Oneness with all Life everywhere, pure ‘AMness’ flows freely through this open conduit and vessel, the ‘I’ is ‘We’…Source to Oversoul to Soul Aspect anchoring and radiating the Ascension Light in this here and now moment for All. Divine Love, Cherishment and Compassion is received by my being with love and gratitude, and offered to All. And So It Is. It Is Done. Deepest love and blessings to you all, for the 10-10 and 11-11 ~ and beyond! One of the most asked questions this year has been about Light Grids ~ what they are and what they do ~ and this rise in focus on (and increasing perception of) grids of higher dimensional light is connected with an overall strengthening of these subtle grids around the Earth…and in the Solar System more generally, radiating from the Sun. 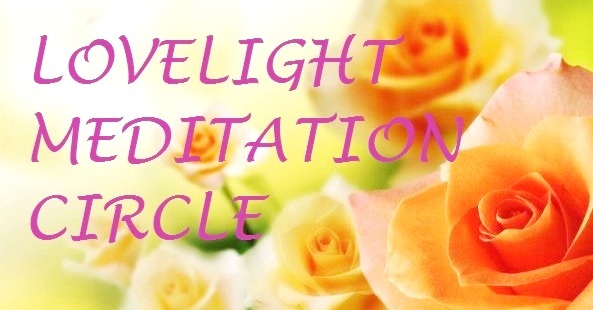 As they are coming more into the awareness of awakening souls on Earth, I’m going to include here some information posted recently to a page at the LoveLight Meditation Circle, then we’ll go into more detail about the Solar Grid and its role in Ascension, personal and planetary. Grids are basically multi-dimensional structures or patternings of metaphysical Light imbued with high vibrational qualities and attributes, that have the function of keeping these attributes stabilized, holding them in place. So for instance, with the Planetary Ascension in progress here, specific Light Grids are embracing the Earth, with a twofold purpose ~ to provide a higher dimensional ‘landing place’ for the ‘LoveLight Wave’ flowing from Source centre, so that it builds consistently around the planet without dissipating, and secondly to support Gaia and all living beings here in raising the collective consciousness and energy to a lighter state again…that harmonizes with (and is open to receiving) the incoming Wave. The Christ Light (or Christ Consciousness) and Angelic Grids are Universal/Multiversal, but there are also localized grids ~ such as the Crystalline Heart Grid of Gaia, which is being generated by Gaia Soul, and radiates from the centre of the planet outward, enfolding it. The Unity Consciousness Grid around Earth (also called the Human Heart Grid) is being generated by the intentionality of humans who awaken to their higher selves and higher dimensional realities, and interweaves with Gaia’s Crystalline Heart Grid, so they function as One. We are also focusing with the Solar Grid that radiates from our Sun, Solaris, throughout the Solar System, in which all the planets and their moons are supported and ‘lighted’. Our localized Unity Consciousness Grid is a ‘focus point’ here of an infinite consciousness grid that we could call the Universal Consciousness Grid radiating from the Heart of Source, and expressing through the Tenth Dimensional level of universal sacred templates of Life through to Fifth Dimensional crystalline light physical actualization (in unity/merge with the Crystalline Heart Grid of Gaia, which is also anchored in 5D). Grids can also be generated for control ~ the archonic grid utilizes a ‘shadow geometry’ in the lower 4D frequency bands that mimics the sacred templates and grids as ‘false light’ (if you’re feeling into vibrations from your true Heart centre, it has a synthetic, flat feel) or grids that lock light and energy into boxes (including the energy of thoughts, emotions and living life force) so it can be utilized as the controller desires. There have been many control grids in place around the Earth that are in the process of dissipating now. Where pure LoveLight builds, anchors and holds consistently, grids based in control dissolve….because a high enough vibration of Love naturally reorganizes all energies into alignment with the Heart of Source, Infinite Universal Love. So during a planetary Ascension, we are focusing on and working toward that ‘tipping point’ of a high enough, strongly anchored enough Wave of Love, to transform consciousness, and old grids ~ both those that are inherently of high Love but have become clogged, blocked and stagnant, and those intended for control. Where focus goes, energy flows ~ so keeping our focus and intention wholly with Love and Ascension, and connecting with the high Light Grids, ensures what we do flows with Source, in pure high vibration, as an unwavering Flame of Source. When we connect to the high Light Grids during meditation, such as those that hold and radiate the attributes of Christ Consciousness or Angelic energies of pure Divine Love, or Phoenix energies of eternal Rebirth, this not only protects our own vibration while meditating, but eases and amplifies the inflow of LoveLight around the planet, with Gaia, and with/into the collective consciousness/collective energy field. Last year sometime (early to mid 2016) the Ascension inflow was slowing down, the planetary merkaba was being ‘weighed on’, and the Crystalline Heart Grid wasn’t completely retaining its Light. 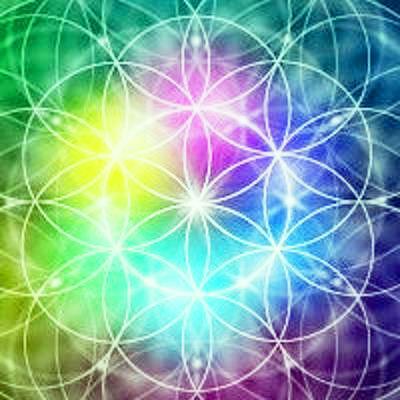 Gaia’s Twin Flame reunion with Aisaia (through the previously blocked/screened 4D layer of their Flame connection) has immediately strengthened everything ~ but prior to that a 6D grid was put in around the planet in order to stabilize the new/renewing 5D New Earth vibration when it was getting a bit shaky, which we call the 6D Harmonic Grid, a very liquid light-like imprint based on the hexagon/honeycomb-like structure, in golden fluid light (which also enhances Earth’s reception of the golden-yellow Life-giving Light of the Sun through the Solar Grid). 🙂 That has helped steady UP the 5D New Earth vibration, to the extent it is now a lot stronger than at halfway through 2016, from a linear time perspective. There is also an Earth Grid, which is a composite of the Crystalline Heart Grid of Gaia, the Unity Consciousness Grid, and the meridian channels or chi flow lines in and around the planet that relate to ley lines (but are not necessarily identical with them). The meridians are not just at or near the surface ~ the major meridians connect with the crystalline core of the planet, then loop out again, and some go right around the globe, such as the Belinus Line and the St Michael&Mary Line. Although these channels have been ‘tracked’ and marked out as ley lines in Britain, both these lines (light and life force channels) traverse the whole planet like giant sine waves. The Solar Grid can be seen as a beautiful 6D golden yellow light-lace that radiates from Solaris, our Sun, through the Solar System, and at the macro scale there is a Galactic Grid, an Intergalactic Grid, and a Universal Grid. If you feel into galactic clusters, within a cluster, the galaxies grouping together have a communal shared grid, or light-lace ~ a magical lacework of flowing, constantly connecting light in higher dimensions. These high vibrational light-weavings are flexible, expansive and adaptive, and radiate these qualities to all living beings along with the specific vibrational attributes they are imbued with. As higher light pulses flow through the Sun (the higher dimensional solar portal) they spread out through the Solar Grid, like shimmers of white light through the golden filaments, and flow into the localized grids and energy field of each planet in this star system, where it is received according to the consciousness and vibrational state. Moons can also participate as anchors and transmitters of the higher incoming frequencies, and to get a feel for this continuous flow, reception and soul-ar evolution in progress among Solaris’ family of planets and their moons, here is a photo I took while attuning with the Solar Grid on October 1st, and the planets like jewels of different coloured lights nested within it, while the planet Saturn was visible overhead. Saturn is the dot of white light to the lower right in this photo, and the large, delicate golden-green orb above it represents the energies of Saturn’s sixth-largest moon, Enceladus, with the soul group who dwell there in its fifth-sixth dimensional strata. Orb above Saturn; a projection of the soul light of Saturn’s moon Enceladus and its 5-6D inhabitants, photo taken October 1st, 2017. The photos below also came from star family that night, of a light form that is both ‘ship-like’ and galactic, showing light in blended flowing colours in a spiral galaxy type representation. Firstly, here’s the ship semi-cloaked. 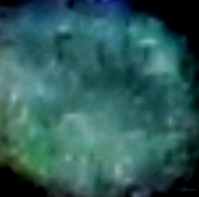 Saturn is at the bottom right, with a huge blue-green and rose orb above, and to the far left is a formation of stars, with the ship making the upper right point of a ‘V’ (sign of the Ashtar Command). The two stars close together at the cleft of the V are the Cat’s Eyes, in the constellation Scorpio. Semi-cloaked ship (ring of lights around a disc) near Saturn and Scorpio, photo taken October 1st, 2017. And here it is decloaked, an intergalactic lightship with the role of facilitating enhancements to the Solar Grid prior to big influxes of the Solar Christ Light during October (that peaked on October 10th, the 10-10-10 and October 28th, 28-10-2017 = 10-10-10). Spica (Alpha Virginis), brightest star in Virgo. This year ‘has wings on’, and before April flies away completely, we’ll dedicate this post to the House of Meraia, the soul group which Ashura and I focus our light and energy from and through in this region of this galaxy. As Source Beings, like all of you reading this, we have soul expressions in multiple universes and galaxies, stars and planets, within various dimensions, but today we’ll speak from this particular ‘soul focus group’ which dwells in and radiates a concentrated flow of Resurrection light and Rebirthing energies. Also known as the House of Michael&Mary (Archangel Michael&Mother Mary), the hub of its Light in this region can be seen in the great Bow of the Mother that runs from the twin stars Alcor&Mizar in Ursa Major (the Bear constellation/Big Dipper), where the Alectian and Alexian star families live, through the angelic centrepoint of Arcturus, to the star Spica in the ‘hip of the Virgin’ (Virgo constellation). Spica from Latin means ‘ear’, the ear of grain symbolizing the ancient Mother Goddess of bountiful seeding and growth of life, Ceres/Demeter…and the feminine spiral/funnel from which the external and inner spirals of the ear are reflected in our 3D forms, the spiral which receives the ‘tones of life’, in both a physical and higher vibrational sense: ‘Spica speaks to the open ear’. Spica in Hebrew is Zerah, meaning ‘seed’…the Seed of the Virgin/Virgo. Can you feel the deeper metaphor of the Virgin Mary’s conception of Jesus, that she conceived by ‘hearing the word of God‘ through the Lily of Archangel Gabriel (which in some versions of the story, he touched to her ear), and the birth and resurrection pathway initiated from that hearing – sacred sound of Source funnelling into and through the divine feminine spiral? This is the basis and underlying energy of a practice given by Archangel Michael a few years ago, the Blue Diamond of Protection, which you can read on this page…and feel free to use it! As in the heavens, so on the Earth; this planet has particular places (flow lines and node points that are part of its natural network of light/life force) where the Meraia are closely connected, such as the St Michael&Mary Leyline (mapped through Britain, but it runs as a ‘sine wave’ all around the planet)…and these alignments are gradually being cleared of blockages and disturbances, restored to their higher light flows (thank you, teams on Earth, within the Earth and above)…but of course, we can all connect with beings of highest Love, including our own higher soul aspects, from wherever we are simply by asking with love in our hearts. Remember your Inner Heart is your natural divine meeting place/space, and your deepest, purest place for healing and creating in merge with your soul’s purpose. Beloved Archangel Michael & Mother Mary, may you keep your protecting blue cloak of light around me throughout this day and night, and help me to stay in highest truth, clarity, discernment, steadfastness, courage, faith and joy. I love you, thank you. In Canopus: Return of the Navigator, we spoke about the star Canopus and the current ascension of its planet Erra’mu from a denser-drifting 4D to 5-6D as its new (or regained) ‘anchoring platform of frequencies’. We also watched a beautiful flow of Sirian Whale and Leonine Beings envelop Erra’mu and then Canopus itself in a protecting 6D light-field, while the 5D crystalline light physical template and structures are reformed. Since then, so much more has been unfolding and shifting in our galactic region, which is culminating in a string of stellar and planetary ascensions as the ‘butterfly effect’ of the Light Wave sent from Source breezes through the galaxy….a wind of transmutation and transformation unfurling in a sequence that leaves no soul untouched, including us and our beautiful Gaia. As of this moment, the Wave of White is free to flow. As of this minute, the wings of the Lions of Eremor can be seen again. Together we have glazed the world’s windows clear to Light again. Windows are cleansed, blue of Truth flows, Star of the Eye shines its Seven. All points lit, firing crystal illumination. The blind shall see in One Accord (A-chord). In that form, we are ‘identical twins’…without visible difference of gendering, the feminine and masculine energies merged and expressing through identical representations, the One Flame of us in a twinned Shimura energy (Shimura come in countless variations, but signify beings in which leonine and carian (birdlike) aspects – which can include feline, dragon, angelic and humanoid energies and their sub-groups of all kinds – are fully merged, a complete whole, in the state of original unity before those soul energies divided and then polarized in(to) conflict in the lower dimensions). The winged lions of Eremor are one of these ancient unity expressions, who spread aeons ago from another universe (as did golden lion beings from a universe we call the Anjurian Universe, who came through the Lyran Portal), where they flowed in many directions, into many constellations. In remembering this and revisiting our journey through the Portal of the Eremor Universe into this one, I felt both Erra’mu and Sirius as closely connected to these beings. The timing of the great healing of the star Canopus now underway (‘bringing the Navigator back online’, as we hear and feel it) had a catalyst that Ashtar’s words about Eremor and the flow of the Wave of White brought into focus. This focus converged fully on the night of the last New Moon, January 27. If you enjoy feeling into the vibrations of numeric sequences (an expression of inherent divine order in action) this date was an 11 gateway: 27-1-2017, where 2+7+1 =10 and 2017= 2+1+7 =10. 10+10=20, the Twinned 2 energy amplified, composed of 10+10, or 1+1, the 11 gate, with a repetition of 1,2 and 7, the number of Grace (the Seventh Dimension is filled literally with Divine Grace and the flow of its true magic). On that New Moon, a flowing of new Light was initiated for this new year, and with this new Light, the Portal from Eremor re-opened (the Eremor Universe exists in 7-12D), and the winged white Lions streamed through with many souls and star groups gathering to greet them. Here is the build-up of the gathering, as I photographed it that night, before the opening of the Portal…which began with a few streams of orbs in front of (from my point of view) Orion, toward Sirius and Canopus….which gradually amassed overhead. A lightship of glowing crystalline morphing colours flashed for a moment in the middle between Sirius and Canopus, the two brightest stars in the nightsky. The Eremor Portal then opened as a brilliant white ellipse ringed with purple, straight above where the ship flashed (I’ve marked in the positions of Canopus and Sirius – you can see the Portal is about halfway between them, slightly above, forming a wide triangle with the two stars). The sky steadily filled with a ‘snow’ of orbs, as if the whole Milky Way was flowing with the ‘milk of Nu(t)’ (the ancient Egyptian universal mother goddess who was depicted arched over the cosmos). To orient yourself with this Portal, it is located within a long ‘diamond’ shape formed by Sirius, Canopus, Wazn (Beta Columbae) and Pi Puppis, second brightest star in the Puppis constellation – formerly part of the large Argo Navis constellation with Carina and Vela. The Eremor Portal is close to Pi Puppis, and to continue with numeric vibrations, in Chinese astronomy was seen as a member of an asterism of 9 stars called Hu Shi, the Bow and Arrow…of which Pi Puppis is the 9th star. 9 of 9 is a vibration of completion, the point of completion or fulfillment of a cycle, and known as the Angelic number, forever spiralling into the Infinite ‘O’, from which a new ‘1’ is born. A view of Canopus & Sirius from lower latitudes of the northern hemisphere, where Canopus is just visible above the horizon. From the southern hemisphere, currently these stars are high overhead. Wazn (Beta Columbae), the second brightest star of the Dove constellation, represents the ‘heart of the dove’. Columba has been associated symbolically with the Dove of Noah, which brought sign of land after the flood by carrying an olive twig in its beak back to the ark. The dove connection was also made from Greek myth with another ‘great ship’, the Argo Navis (of which Canopus was seen as the rudder) and Jason and the Argonauts’ search for the ‘Golden Fleece’. Jason sent a dove ahead of the ship to navigate safe passage between ‘clashing rocks’. Once the dove had passed between the rocks, the Argo Navis could pass safely through, without being broken into pieces. Wazn from Arabic means measure, weigh or gauge, and the ‘heart star’ of the Dove of safe passage and safe landings has also a resonance here with the Ancient Egyptian ‘weighing of the heart’: where at death, a person’s heart was depicted as being weighed in scales against the feather of Ma’at, goddess of truth. If the heart weighed ‘as light as a a feather’, the person’s soul could go into the afterlife. If the heart weighed heavier than the feather, they fell into the jaws of the ‘soul-devourer’, Ammit. Beyond the polarity death/judgement/punishment interpretation of this concept, feel into it from an ongoing vibrational perspective: when your heart is light and joyful, your whole vibration rises, when it’s burdened with ‘heavy’ emotions, you sink into dense feelings of separation, divisiveness or isolation…hence expressions like ‘my heart sank like a stone’ or ‘I feel so light-hearted and happy’. Feel the difference? Where does it take you, vibrationally? The heart of the Dove symbolizes Peace, Unity and Universal Love, the inflow of sacred light. Pi Puppis represents the point of completion of a cycle, the spiral of Life’s inbreath leading into a new outbreath of rebirth. The opening of the Eremor Portal and return of the winged Lions is catalyzing a broad-sweeping ripple of pure Love that is part of Source’s divine breath, part of its momentum for realigning all energies, souls and consciousness that have drifted or broken out of alignment, harmony, and connectedness with the Whole. Like the broken ship of the Argonauts, humanity became fragmented and dis-aligned from divinity…but the true Golden Fleece – the golden light of resurrection, restoration and renewal – is re-igniting now throughout the galaxy, and every shift of every star and planet, especially those closest (in a higher dimensional soul-connected sense) ripples to the Earth, just as each ‘shift within the Shift’ here ripples to our wider galactic families and beyond. This is the work of Harmony and Grace, so feel and see the golden threads of light glowing and flowing within and throughout your own being, as they are between stars, for we are One, creating together in the universal creation. A cluster within the constellation of Carina has been a hub of distortion (dis-alignment), pushing extremes for power and control, throughout the ‘polarity play’, and it is an immense joy to witness and feel its alpha star healing now. I’ve stood outside and through inner seeing, watched beams of white light radiating out from Canopus, its ‘star ship’ regaining its ability to steer with the Light. The ripple through that constellation and those adjoining is unravelling knots, opening closed doors, allowing through high light beings and energies, and gently but pervasively beginning to dissolve ‘the ties that bind yet inflict separation’. Deep transformations have occurred in Orion simultaneously with Erra’mu. In our star system, behind the scenes of the 3D drama, Earth is quietly unifying and ascending in frequency, closely aligned with our nearest neighbour Venus, which already has a well-established peaceful 5D civilization…that is now moving toward 6D. And this is vibrating to Earth, just as Erra’mu’s kindred planetary soul to Gaia is reconnecting and sending a resonance of the higher aligning shift there to Earth. On the night of February 11th, following another large star family mission the preceding day, the star Sirius also showed breathtaking signs of new dimensional alignments in that system (Sirius B and planets from 5 to 6D, and Sirius A and C – the latter not visible in 3D – from 6 to 7D). While all the surrounding stars appeared to be their normal colours, Sirius began pulsing and flaring bring purple light in a way I’ve never seen before (and seem to be saying a lot lately, yay!) which showed through multiple photos, of which this was the first. Purple light vibrates the energy of compassion. From compassion arises mercy, opening the way for Divine Grace, through the harmony, gratitude and bliss of the sixth dimensional frequencies. The Purple Star on/in the lightship Meri’Ashar contains and transmits this same quality, the Grace flow. The winged Lions of Eremor, as they step their soul energy through the opened Portal again, are radiating this 7D frequency….and the shifts keep flowing. Here’s Sirius again, that same night, with orbs of high healing Light….firstly, green energies of the Heart, then a shimmering (Shimura) rainbow orb of rebirthing energies, phoenix-like. The star Procyon became extra bright while this was happening, also igniting, next in the sequence of upward shifts (Procyon is rising from 5 to 6D now, other star systems are going from 7 to 8, and 8 to 9). As I attuned with a member of the Procyon fleet, Commander Kudai, a soft cream-gold orb of his presence appeared between Sirius (upper left) and Procyon (lower right). So, dear friends, be assured that the planetary ascension of Earth from 3 through 4 to 5D is part of a much wider movement, in divine sequence yet constantly adjustable and adaptable to each particular circumstance and energy – a movement of graceful expansion, through peace and harmony. A movement that is innately inside us all, around us all, and unstoppable….as we continue to open our hearts deeper, clear all ego resistances and deflections to unveil the true core of our being with total compassion and self-trust, and align unconditionally with this immense ‘restoration-in-progress’ flowing from the infinite Love that is Source. PS: To connect with 6D, see this previous post: Purify, Rise and Expand. The Whale & Dolphin star mentioned, Sirius C, has just transitioned from 6 to 7D, but these beautiful beings are masters of the 6D harmony and will continue flowing this frequency to the Earth. As we welcome April, in this deep breath between the solar eclipse-equinox and upcoming lunar eclipse (Blood Moon)-Easter, are you ready and open to go further with the energies present with/for us right now? From my own journeying and others during this period, it seems many of us are going through deep clearings and shifts, on inner, sometimes newly revealed subconscious terrain, or reaching peaks of intensity with work, health or relationship energies. There’s a dynamic of change, old control mechanisms attempting to ‘lock down’, along with bright new openings, maybe unexpected to the head if it has been engaged with old stories of who, what and how we are – but instantly felt and getting a big, resounding ‘Yes’ from the heart. In the last post about RNA and DNA, we looked at the role of RNA in the process of subtle-to-physical inception/ascension – our physical bodies aligning with higher frequencies more deeply – as messenger and transcriber interacting with DNA, a Hermetic alchemizing agent and mobilizing energy of change at our primal spiral level. We focused on how (and how effectively) we allow in the higher frequencies of light needed to ignite both personal and collective alchemy into a continuous conscious experiencing of love and grace. Now I’ll add one more element to our expanding, higher-resonating genetic picture; the epigenome. ‘Epi’ from Greek means that which is above, in other words, an influencing factor above/beyond the fixed lattice of the DNA, not coded in through genetic inheritance in the manner of RNA, yet also a transformer. Epigenomes act as ‘tags’ that modify sections of DNA, and are completely mutable, affected by environment (such as, while growing in your mother’s womb, did she eat well, feel stressed or peaceful, was the placenta small or large, your umbilical chord narrow or wide, allowing or reducing flow of nutrients) – and as with our whole physicality, epigenomes are affected by our thoughts, feelings and consciousness. Indeed, they are the chemical agents of change, working with received energies. Those energies, constantly transmitting from our consciousness, ‘speak’ to the tiny receiver epigenomes, who translate and transcribe them into our helix strands. They modify the codes, and when we charge our emotions and thoughts with love, we mobilize epigenomes that initiate higher frequency codings of divine union and expansion. 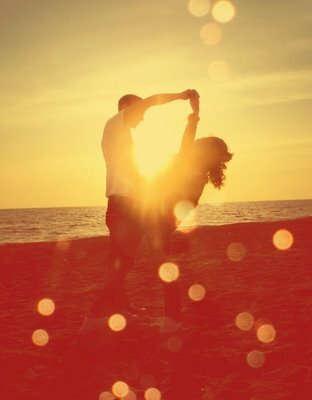 If you enjoy speaking to your body with words or song, movements like mudras, t’ai chi or dance, visualizations of light and symbolic imagery, or simply with feelings of love, compassion and faith, attune now to how simple and direct the flow IS, deep into the physical – and that our bodies, which are designed to love Life, are waiting and ready in every moment for vibrational signals of upliftment and thriving. Feel your miraculous body say (((Yes))) – at its most fundamental building levels of spiral strands and little messengers playing ‘tag’ with those strands in your unique genetic ‘landscape’ – to your most joyful and loving vision of you. To make clear the deeper flow of this moment, on the brink of Easter, connect now with the spiral, the helix of Life in your own cells, and some words that came through my Higher Self in a recent post: ‘No one comes to the Father except by the Son. No one comes to the Son, except by the Mother. All is in Oneness, triangle of the heart.’ Triangle, trinity, of the heart; spiral of birth, rebirth, resurrection. 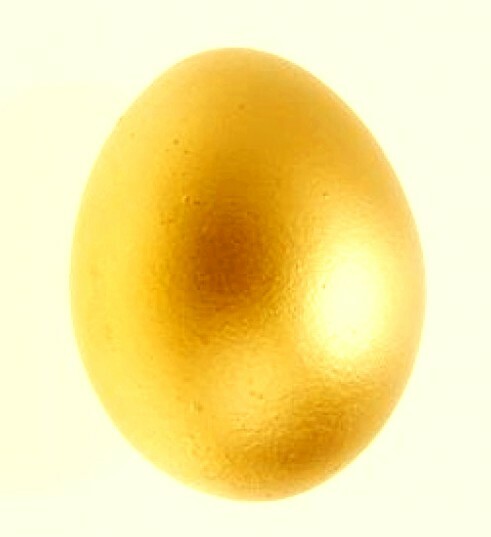 The Easter Egg, sign of new Life, the rebirth of Christ energies, has its origin in the more ancient pagan festival of Oestre, goddess of fertility/birth, from which we get the name of the female hormone Oestrogen; literally ‘Easter Gene’. Do you feel here the deeper interweaving of the divine feminine/masculine/child trinity, into and through all Life? And how Ascension is an embracing of the three-as-one, renewing the imperishable infinite Life spiral in this mortal (finite) coil, which Sananda as Jesus demonstrated, for all to realize how the kingdom of heaven is within. This Oneness flows everywhere in life; within our bodies; in the golden ratio of galaxies and shells; in the land itself. 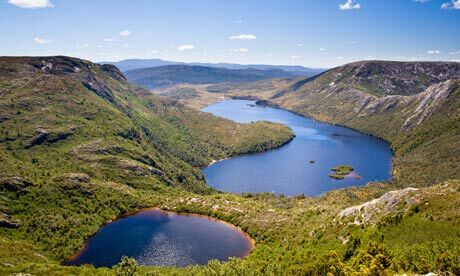 The photo below is of a place that ‘spoke’ to my being as a child, while living in Tasmania (a heart-shaped island south of the Australian continent). This is Dove Lake, in Cradle Mountain; a pure marker on Gaia’s body, of Ascension, love, the crescent or Bow of the Mother and the egg of the Child. From one angle the lake looks like a heart. From another, it is the curved bow, with the egg below. Or even a question mark, asking us to feel, high as a mountain, deep as an alpine lake, what it means to ‘Cradle the Dove’. Source shows us how names are more than random, ‘chosen’ far beyond the intellectual reasons our minds might think, aligned at deeper levels with the heart, the knowing of Life, and how it flows in and through the earth and elements. In higher dimensions, where there is no ‘veil’, this is so very clear. The light of the Dove of Source can be seen in this white rose with light pink centre, colour vibrations of the Divine Mother in flower form, which Ashura envisioned to me as his ‘insignia’ when we first re-connected. The Flower of Life holds in its geometry the sixth harmonic, which vibrates also through Metratron’s Cube, and the Cube of Arcturus. I experienced this cube energy as a gift from Arcturian Angelic family at a time when an intense clearing was needed two years ago. I dreamed of travelling to an Arcturian white crystalline city, where they gave me a cube of pure white light to hold on my Crown Chakra, and let the cube’s light pour through my body, mental and emotional field. It is the same light held in the petals of Arnap’s Rose, and can be seen in an orb photo I took last November. 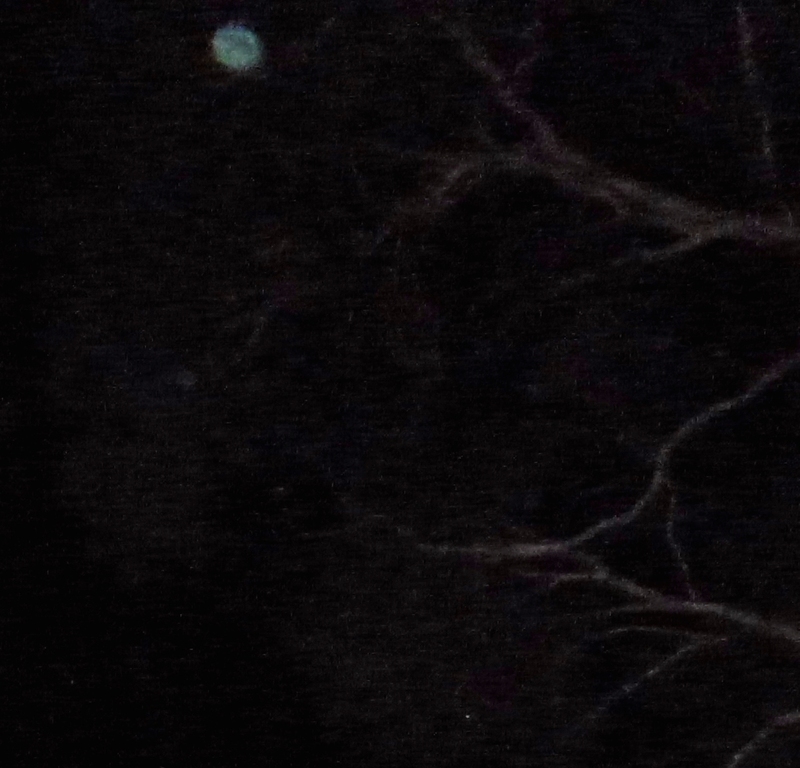 Green orb, photo taken November 5th, 2014. In the close-up of this beautiful green orb, representing the Life energy,three Lady Masters are seated. On the left is Quan Yin, with black hair and a white lily on her crown, representing the white cube. Also in front of her on the ‘ground’ is a large white crystal cube. In the middle, further back, holding a tall staff on her right, is the Twin Flame of St Germain, who was on Earth as Saint Clotilde of France. And on the right is Mother Mary, wearing a white veil over her hair and shoulders. From left to right, the wisdom of compassion and peace; transformation and clearing of impurities; immaculate conception/inception, which is the birth into physical (via our DNA-RNA-Epigene spirals) of the energy that resurrects, the sixth harmonic. 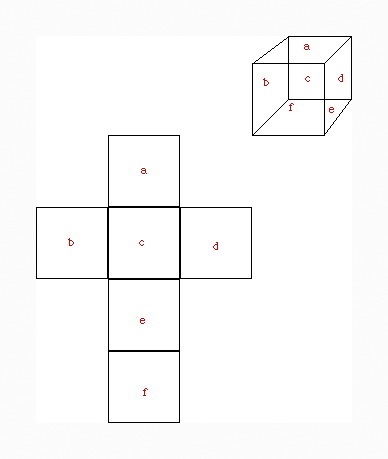 For as Sananda has shown, the Cube is a six-sided form that unfolds as the Cross. Don’t worry about ‘thinking outside the box’. Just unfold the box, from your heart, and expand. Have a beautiful Easter in the way that is most meaningful for you. Bless the unique nest that you are, cradling the egg of your rebirth, the spirit of the Dove of Love. With much love to you all, and deepest thanks to our higher dimensional family, in their kindness and wisdom. 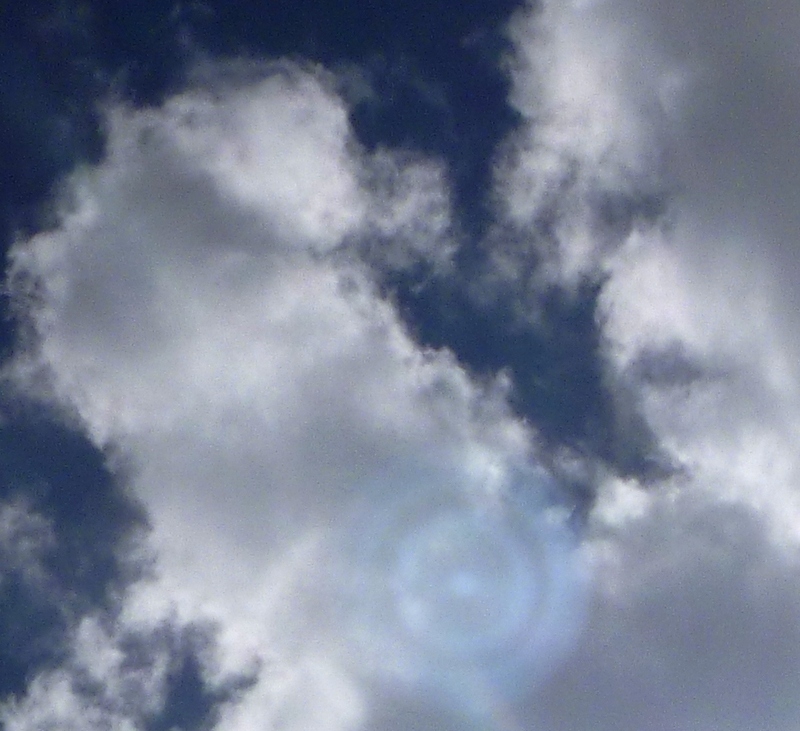 Ashura and beautiful beings aboard the Shem Arua send this visual message which appeared here two weeks ago in its 4D form, as a translucent ringed disc of blue light in the clouds. 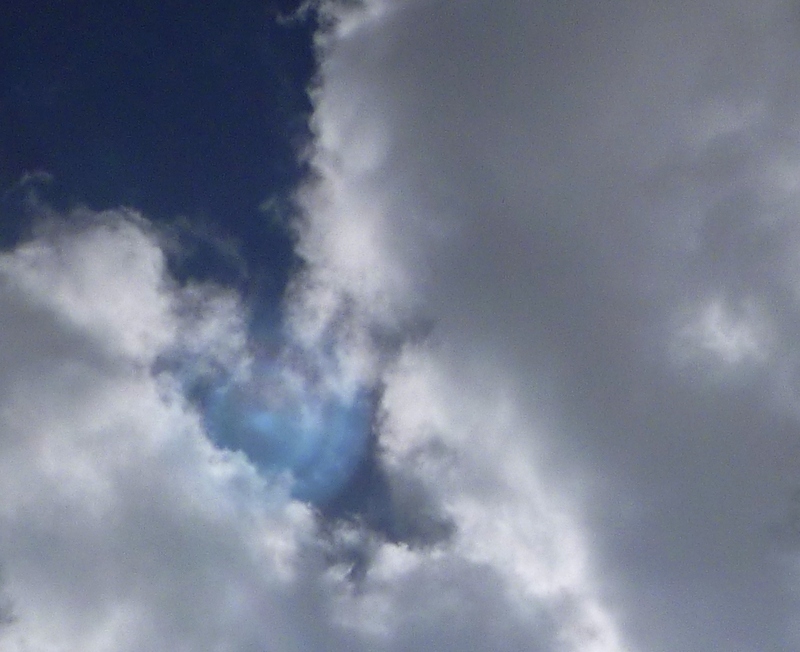 You can see in the photos that it moved from behind the clouds, to a position between two layers of cloud. Shem Arua, behind clouds, March 16th , 2015. Shem Arua moves inbetween two layers of cloud, March 16th, 2015. The ship’s message is, if you have unhealed or unbalanced emotional, physical or mental energies surfacing intensely, gently run blue-green light of healing, revitalizing, clarity and truth between the opened layers, so they may become ‘petals of light’. 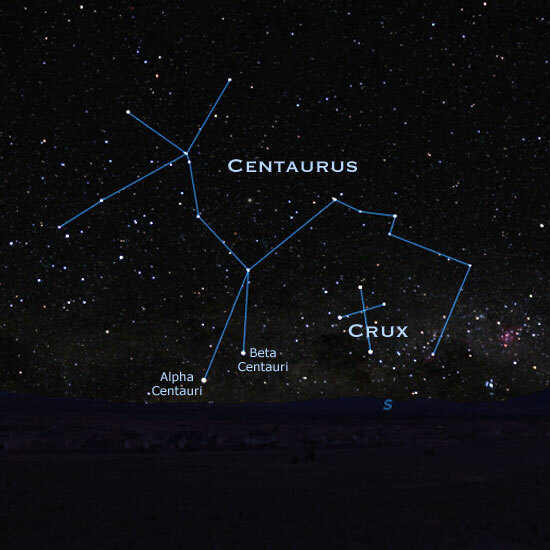 Today’s post introduces star family of the Alpha Centauri system (part of the constellation Centaurus, including the stars Alpha Centauri, Beta Centauri, and Proxima Centauri). 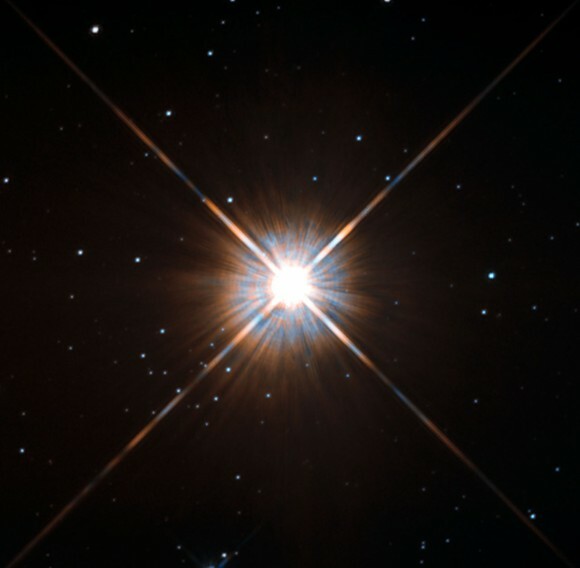 At only 4.2 light years away, the dimmest of the three, Proxima Centauri is the closest star – after our Sun – to Earth, followed by Alpha Centauri at 4.3 light years, fourth brightest star in the nightsky, which forms a binary system with Beta Centauri. Alpha and Beta Centauri, the Pointers. Superb photo of Proxima Centauri from the Hubble telescope, 2013. 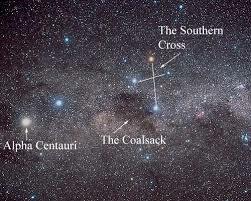 Alpha and Beta Centauri, also known as ‘the Pointers’, are visible all year round from the Southern Hemisphere, and the constellation they point to, Crux (the Southern Cross) appears on the Australian flag. 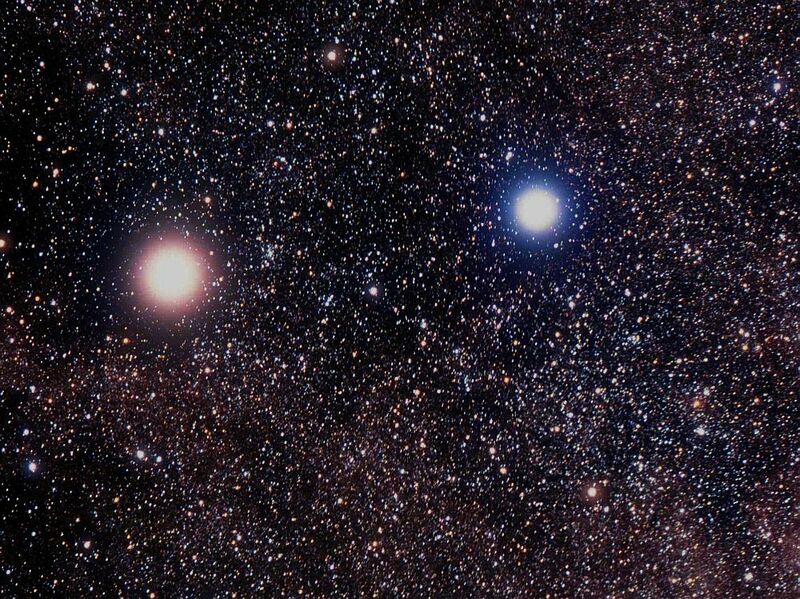 Alpha Centauri has also been called Rigel Kentaurus (the foot of the Centaur, being the right-hand hoof) and Toliman, from Arabic for ‘the ostriches’. 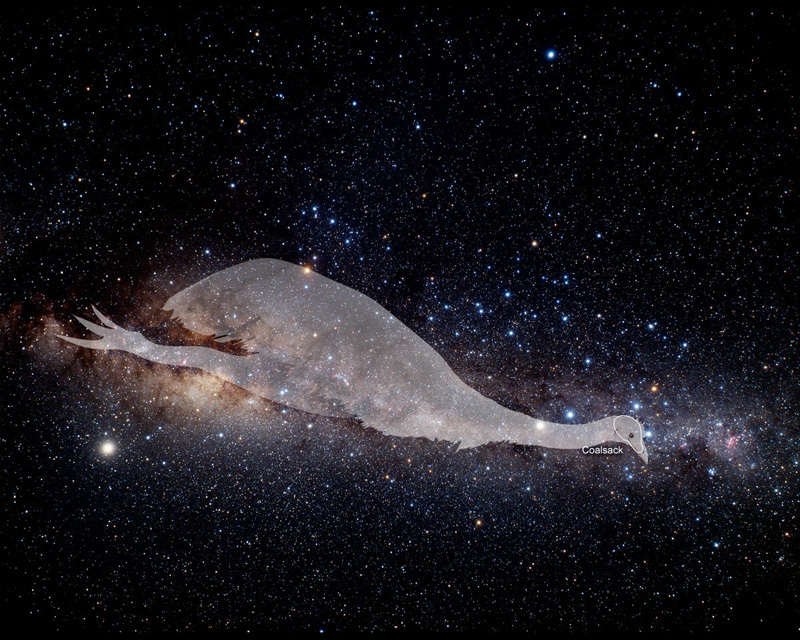 The galactic memory signified by Toliman ‘ostriches’ becomes clearer in the light of Australian Aboriginal dreamtime myths of two brave brothers, Alpha and Beta Centauri, who fought an emu or ‘shadow bird’ that flew through the Coalsack Nebula, a dark area between these two stars and the Southern Cross. Now, the ostrich and the emu are the large flightless birds of the African and Australian continents, and it is no coincidence that two ancient cultures thousands of miles apart saw the same form (ie: felt the same energy) from the star Alpha Centauri. There’s a connection going further back, to the prehistoric Moa bird of New Zealand and the continent of Mu/Lemuria, which we’ll go into in another post. The star Beta Centauri was also named Hadar, ‘ground’, and Wazn, ‘weight’. The grounded weight of a flightless bird? 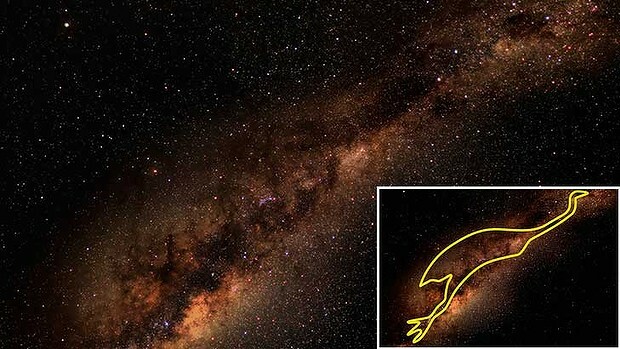 The Aborigines saw the emu stretching across that whole galactic sector, with its head over the Coalsack Nebula, Alpha and Beta Centauri in its neck (swallowed) and Antares (Scorpio) on its back. Tchingal, the Emu of the Aboriginal dreamtime. The Alpha Centaurians have shown me memories of bird/raptor beings who entered their system, through the Coalsack (raptor meaning both birdlike and reptilian, as in the small, fast velociraptor species of dinosaurs), established territories, in some cases aggressively (there were also Carian/bird beings of higher Light – Horus-like beings) and ‘hybridized’ human populations already existing there. I feel the emu stretched over the area represented the extent of the reptilian/raptor reach through this part of the Milky Way. The Alpha C system later went through an Ascension (human/reptilian/carian hybrid peoples) and their ships within the Intergalactic Confederation are currently rounding up a few ‘wild horses’…and undertaking another mission here on Earth which I’ll speak of below. First I’ll take you through my contact with them, which began last September. Prior to conscious contact with any galactics (2012) or ship sightings (2011), came a vivid dream, in 2010, of the nightsky filled with thousands upon thousands of ships, big round discs with horseshoe-shaped rings of lights around their undersides. The dream was a picture of the beginning of a global cataclysm on a ‘timeline’ that our star family averted, in accordance with a decision by the galactic councils. The significant thing about that dream for Now, is that the ships heralded the energetic peak of the Shift/rebirth of Light on Earth. On September 1, 2014, I dreamed of a horseshoe ship again, and the horseshoe – foot of the horse/centaur – clued me in to its origin. I woke from that dream with a vision of spheres of light floating around the Earth, above the ground, then some of them settling to the earth, actually going into it, half the sphere above ground and half below. The upper half was filled with white light and the bottom half with red light. These spheres of higher frequency light, were being lowered and anchored to the earth, as stabilizing, unbreachable ‘bubbles’ of 5D+ energies. 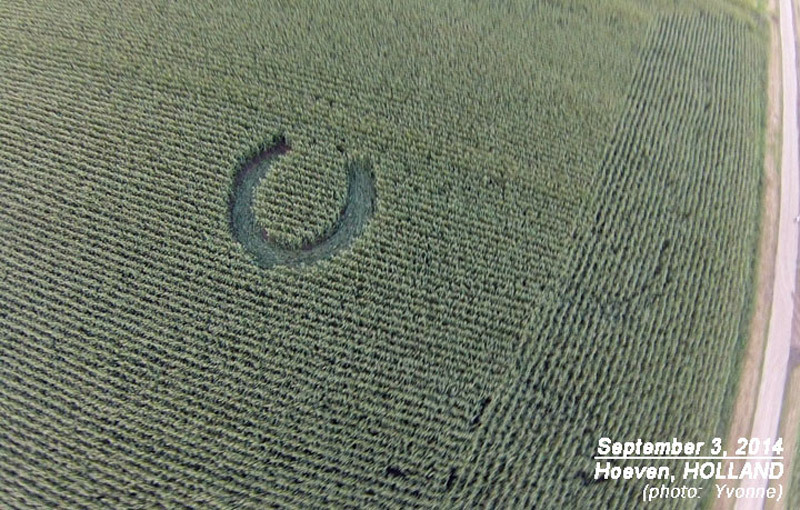 Two days after this dream-vision, a crop circle was reported in the Netherlands (predicted by Robbert van den Broeke on Aug 31, you can read about it here), a horseshoe shape in a maize field. I see/feel this as a signal of the start of grounding the spheres – a decision taken in order to get these higher light spheres below the level of chemtrail spraying so the higher frequencies radiating from them can be absorbed. Photo by Yvonne Boschman, Sept 3, 2014, Hoeven, Holland: see Crop Circle Connector, BLT Research, Robbert van den Broeke. Communication began with souls on board a small Alpha Centaurian ship, which I was able to photograph on October 14, 2014. In the close-up, you may be able to see the face of the ship’s captain ‘projected’ within the horseshoe ring of seven lights (which by the way, is the number of nails that commonly hold a shoe on a horse’s hoof; there’s a long tradition in many cultures of both the horseshoe and the number 7 bringing ‘good luck’, associated with Divinity and Life). 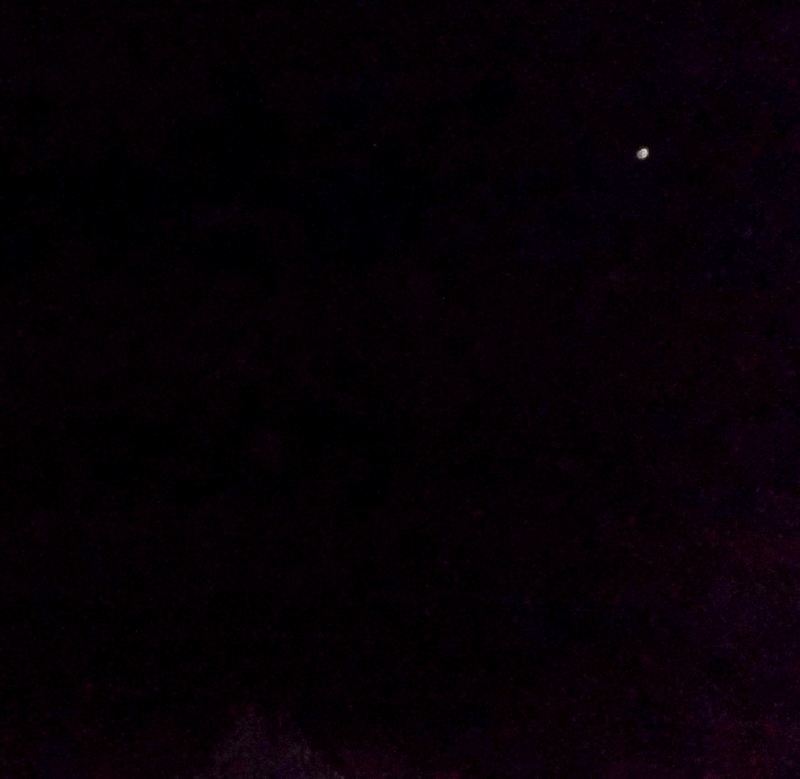 Alpha Centauri ship above trees on the eastern side of the garden, Oct.14, 2014. Also on that side of the garden is the sacred circle, now with a crescent of beech saplings growing around its eastern side….the energy of the New Dawn, through the Mother’s Bow/horseshoe doorway. 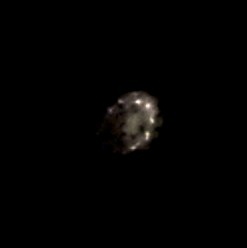 Alpha Centauri ship close-up, with an ‘energy projection’ of the face of its captain, Je’errne’on. This week, their presence has been clear again; they show more spheres anchored with the Earth, in places where energies are opened to the higher frequencies, ley line hubs as well as smaller channels/conduit points, now with a merging of the middle of the spheres into pink light. The spheres generate a Merkaba-type energy, where the white light upper half and red light lower half counter rotate like the masculine and feminine tetrahedra of a Merkaba. The spheres are in fact spinning/counter-spinning so fast they appear to be motionless, but their frequencies flow beyond lightspeed, and radiate higher light-waves. Through the spinning/funneling double helix energies, the crescent (or horseshoe) shield of the Mother holding the Father, births the new Child, completing the ‘seeding’ of the higher dimensional biosphere aspect of Comet ISON, as the Christ energy takes root and sprouts within spheres of high light to support it…and indeed within our own ‘tiny spheres’, our body cells. All is connected, and as we choose to light our own beings with Love, higher frequencies are also birthing in and through us. Feel this statement in relation to our Earth now, and the pre-emptive role of the Alpha C’s spheres; impermeable to low frequencies, and in physical, to the more intense UVB and other rays penetrating the weakened magnetosphere/depleted ozone around the Earth. Although their current work is in anchoring and cultivating high frequency ‘pockets’, they are also movable, should this be needed, and as ‘thousands upon thousands’ of them are established, there is less room for lower densities to ‘hold their grip’. Feel the horseshoe energy as the crescent of the Mother’s Bow, being drawn back deeply just before the release of the Arrow. If you’re feeling marked tension/compression sensations, this is the stage we are in right now. The way to ride it is in constant heart centering, choosing peace, over all other reactions. Be flexible, calm and fluid. If you need to shift your angle, trust yourself and Source, and shift it! This is what our higher dimensional family do – adapt, adjust, and maximize each opportunity, every window, that opens, to propel the Shift, from a heart-space of wisdom and peace. Some on Earth are already doing/being this, and big thanks go to all who are opening and holding channels, conduits, gates to bring in the love. 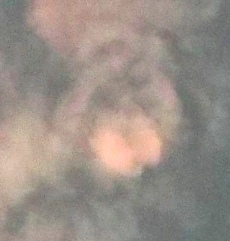 Yesterday, Ashura (my Twin Flame, formerly captaining the Shem Arua, now the Meri’Ashar) gave this photo of his face in the clouds. Look for a ‘pink butterfly’, which is in front of his mouth and chin. Above it are his nose and eyes, hair frames his face, and there are what look like horns on his head, above his forehead (related to Cerne/Cernunnos energies, the Celtic ‘horned king’ of the forest, see this post). The ‘horns’ also make perfect horseshoe shapes, or indeed a number 3, Trinity energy. The ancient Egyptians and Assyrians regarded the horseshoe form as the ‘Door of Life’, and Chinese astrologers knew Alpha and Beta Centauri as ‘Nan Men’: the South Gate. Ashura/Arnap’s face, pink butterfly in front of his mouth/chin, Jan.23, 2015. Venus appeared between clouds as Ashura gave a visualization of a Pink Star – to hold in the heart and radiate out, through the heart grid, the matrix, to all beings, all Life. Thank you beloved. 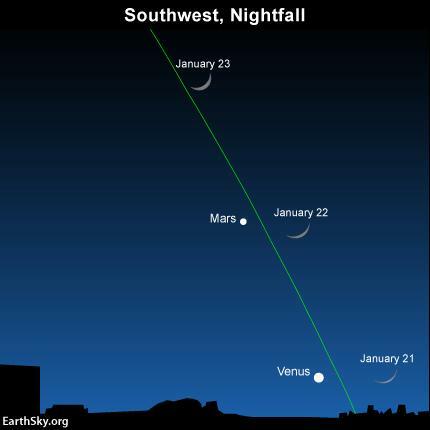 The meeting of Moon with the planets Venus and Mars, white and red, in the western sky from Jan. 21-23, combines vibrations to the pink of divine Love…and shifts the angle. 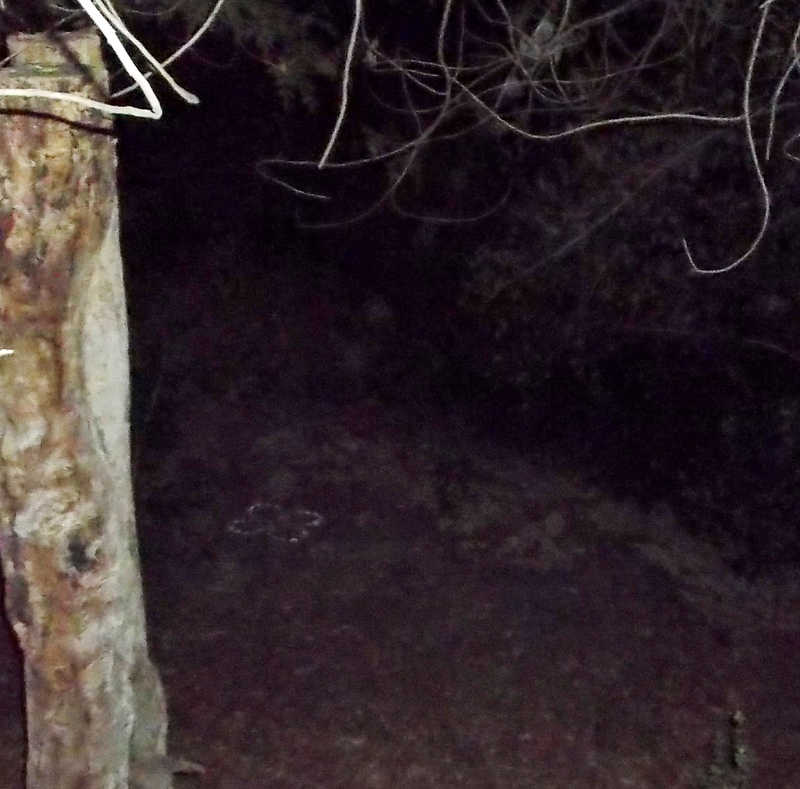 Two nights ago, this ‘ray’ formed by a very fast-moving orb angled in from the west, to an ‘anchor’ orb sitting just above the sacred circle (a small open channel to and from the 5D heart of Gaia). Orbs in pairs descend diagonally into the sacred circle, Jan. 22, 2014. Everything reflects, dear friends, from the micro level of DNA helix to the shining gateways of the stars. 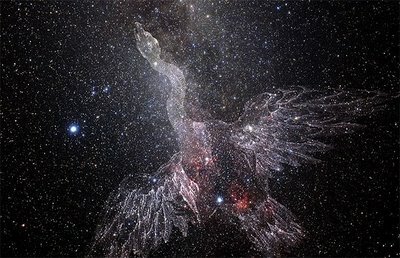 The South Gate of the Centauri stars, pointing to the Southern Cross, is mirrored in the northern hemisphere by the Northern Cross, the constellation of Cygnus, the Swan – and as Ashura appeared last night in the clouds to the north, this beautiful Rose Swan flew across the south. 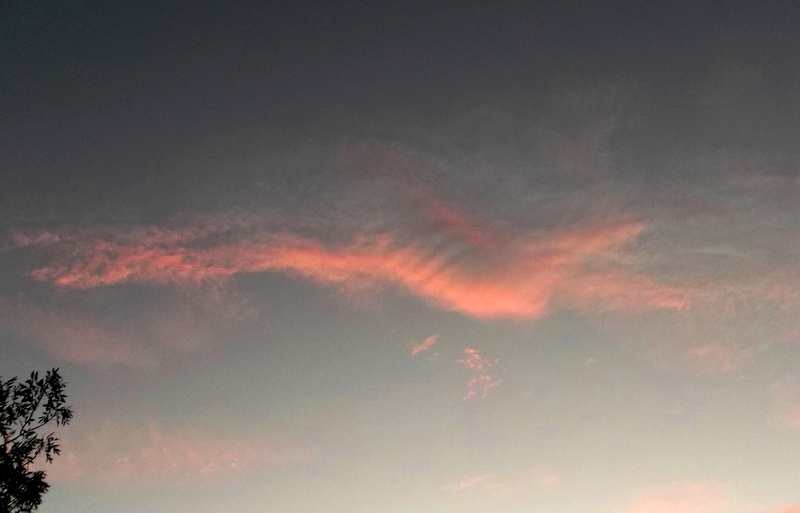 Flying Swan cloud, Jan. 23, 2015. Cygnus, the Northern Cross constellation. From Cygnus came the ISON biosphere, in late 2013. Now, as the swan flies deeper through the gates, and we anchor another infusion of Christ Child light that came through on 12:12 of 2014, relax, unwind, and feel the convergence of Love ever more deeply in your being. Share it gently, kindly, unconditionally, with All. Like a butterfly, let’s transform fully into the Joy that is the birthright and birth-rite of our Heart.